You will soon be able to purchase your Incredible Feets Gift Card by simply clicking this tab, but until then…. 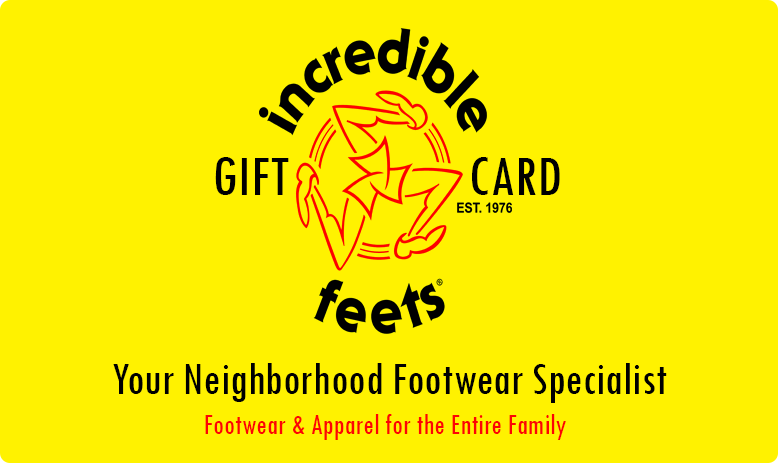 Please visit your nearest Incredible Feets location to purchase your Gift Card. Search the locations tab at the top of the home page to find the store nearest you. Incredible Feets Gift Cards may be applied at any Incredible Feets location. Incredible Feets Gift Cards do not expire. Incredible Feets Gift Cards do not have any hidden charges if the card is not used within a certain time frame, like some other gift cards.